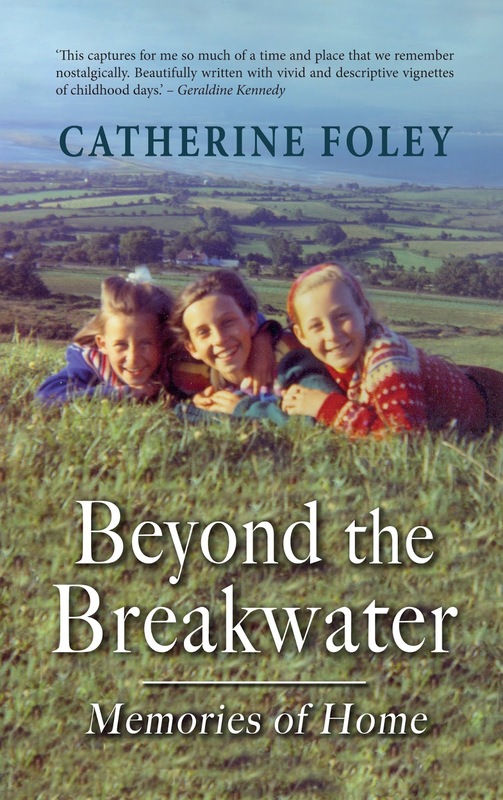 Catherine Foley, the author, has kindly submitted a second guest blog feature to the page. It follows a hugely successful initial guest blog some months back, entitled Beyond the Breakwater which brought us back to the Passage East of her youth and Waterford city. For this blog, Catherine remembers with a loving fondness her uncle, Joe Walsh. 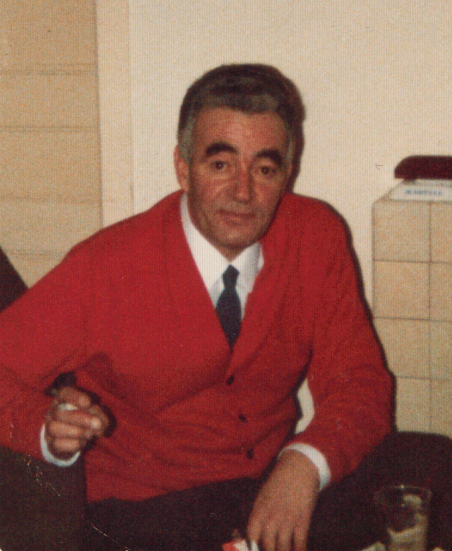 My uncle Joe was often with us when we came together at important family occasions in our aunts’ sitting room in Helvick. He was an integral part of family life, spending every holiday with us. He’d lock up, leave his home in Passage East for a couple of weeks, get the bus to Waterford, catch the outgoing one to Dungarvan and we’d drive in from Ring to collect him at the terminal. 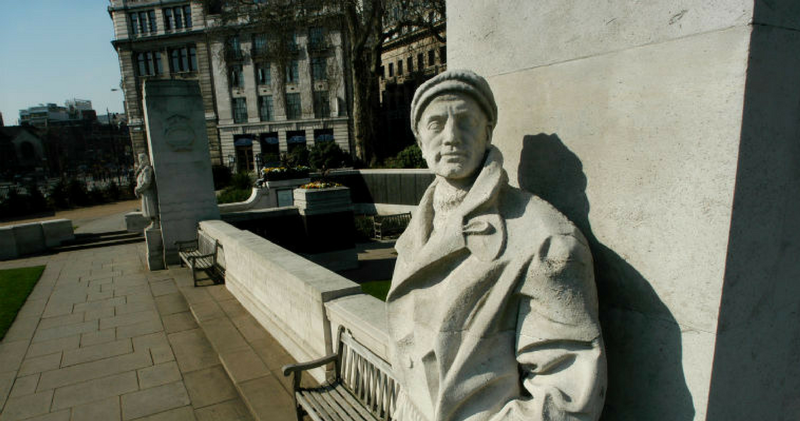 He was a merchant seaman who went to sea as a young man. He spent many years working on ocean liners and oil rigs. In later years he fished out of Passage East. He was a gravedigger in Crooke for a while too. He was my mother’s brother and he was my godfather so there was a special link between us, not that I appreciated him when I was a young scamp with no time to listen to the cautionary voice of Joe. Yet, I always knew he was my greatest ally, and as I got older I came to realise that we were alike in many ways. In his downtime with us, I remember him working with rope. Even in the end when his mind was gone and he lay in a hospital bed, his hands working, tying imaginary ropes, repeated the same actions in the same sequence over and over until one of us caught and held them still. Once he arrived, Joe would take on all washing-up duties, and being a sailor through and through, he was far better than any of us girls: when he’d be finished the place would be gleaming, ship-shape and clean as a whistle, everything tied down and shining like a galley. He often gave us money too, he’d bring us presents and he had all the local news for my mother, Ena, who had grown up in Passage and loved to hear stories about her home place. And so on Christmas morning we’d all set off for our aunts’ house, which overlooked the fishing pier of Helvick in west Co Waterford, where us young ones would get presents, we’d get to listen to the adults talking about old times and to top it all off, we’d have a singsong. My aunts always had Barley’s Lime Cordial as a treat for us, Cherry Brandy liqueur for my mother and Guinness and whiskey for the men. My aunts only drank tea. Joe was usually called on to sing first because he loved to and because his voice was rich and melodious. He relished singing and he had a store of favourite songs that he’d learned from listening to artists like Johnny Cash and Jim Reeves. From the start we’d be hooked by the song. “Though death and darkness gather all around me… and the taste of war I know so very well,” he’d sing, his shoulders rising philosophically on the crescendo. We loved this one because it told a story and we all knew the chorus with its lilting, easy melody: “for you are beaut-i-ful, and I have loved you dearly, more dearly than the spoken word can tell.” We‘d join in at that point and sing along with Joe. His own life at sea seemed to give the song an added pathos. He had never married, and I always felt that those songs of lost love were heart-felt in some way. I had a sense that there was some hidden trauma but I could only guess at what that might be. A ring of stout around his mouth was a sign that Joe was truly in the moment. The sadness in Joe that us young people could never miss but never understand seemed to add to the piquancy of the words. As he sang, he’d lift his head up at certain parts almost in sympathy with the fate of the tragic sailor and time would slow down as his voice filled the room. He had a head of rich black hair, a strong jaw-line and a fine profile. He was a very handsome man. He smoked Major cigarettes – the tops of the fingers on his left hand were brown from years of holding the stubs in the cup of his hand. His masculinity and strength coupled with an incongruous vulnerability could leave me feeling slightly embarrassed. The angelic quality of his voice and his open trusting eyes seemed to pose a question that I could not fathom. Joe had thick black eyebrows and his dark brown eyes would hold your gaze with a look of honest appraisal while speaking to you. He walked with a limp: one shoe was always built up by the cobbler to compensate for the shorter leg that had shrivelled as a result of excessive cycling and hurling as a young man. Because of this, he sat in the armchair in his own characteristic way, almost in a kneeling position as if genuflecting, the shorter leg folded underneath him, his knee nearly touching the floor. Those times remain clear in my memory now, of Joe singing with emotion of other worlds and times. Looking out the window in Helvick, I remember the grey-green sea stretching off down the coastline to the east, towards Hook Head in the distance with the town of Dungarvan visible to the west. He always favoured songs about loneliness, about drinking and about disappointment. I remember him singing about the man sitting in a honky in Chicago when he sang Little Old Wine Drinker Me. “I asked the man,” he’d sing, “behind the bar, to play the juke-box, and the music takes me back to Tennessee”. He used to lift his shoulders in a semi-shrug as he sang the last line: “When they ask, who’s the man in the cor-ner cry-ing, I say little old wine drinking me.” Unhurried, he’d pause like any singer if a long breath was required. He’d often close his eyes but sometimes, he’d look into the near distance as he put his heart into the words. Now the words and the music of those songs merge like a collage of melodies: the notes unfolding slowly in my head, Joe’s voice rising effortlessly. He died in his late sixties in the hospital in Dungarvan. We buried him on an icy cold, wet day in Crooke in January 2004 alongside his parents, Joe and Mary Ellen Walsh (née Martel). There were hailstones and freezing rain on the day and it seemed fitting. As the coffin was lowered into the ground; it was as if whatever he’d endured was blanched away and his life was purified by the freezing downpour. I’d like to thanks Catherine for providing this tweaked extract from Beyond the Breakwater, Memories of Home. If you follow the previous link you can buy it online, or as a kindle. 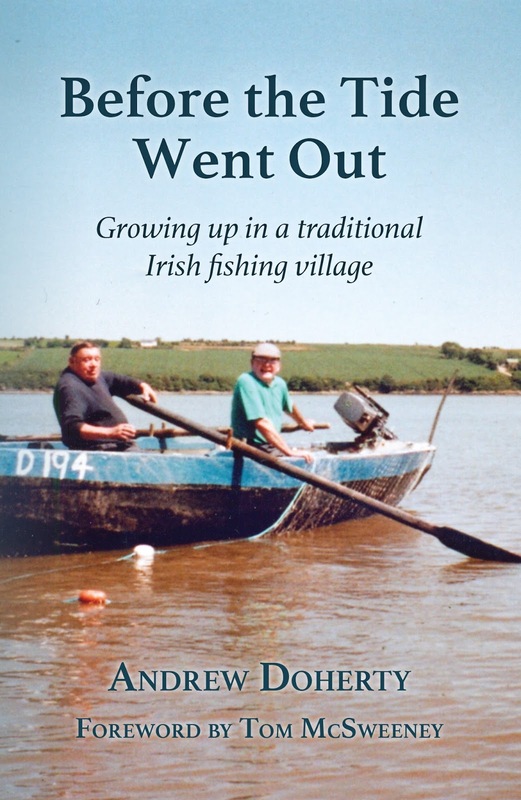 Its published by Mercier Press and is available as they say in all good bookshops, including the Book Centre, Waterford. If you need any more convincing about this wonderful book Manchán Magan gave it a “rave” review in the Irish Times. By Catherine Foley (c) Published by Mercier Press 2018.
unaware of until recently was a procedure called “Warping” which was aimed at facilitating a smooth passage for sailing vessels. The procedures value was underlined, even before the bridge was officially opened. The Barrow Bridge officially opened on the 12th July 1906 facilitating a connection between Waterford and Rosslare by fording the River Barrow between Drumdowney in Co. Kilkenny and Great Island in Co. Wexford. But of course it did much more than that, as it allowed a passenger board a train in Tralee and in relative comfort get to a ferry boat for a short crossing of the Irish Sea and hence to London. For those with an aversion to sea journeys it sure beat boarding a steamer at Limerick or Cork. presented its own problems to the ships that passed through a narrow, tidal passage. A warping procedure was developed circa 1904, aimed specifically at sailing vessels[i] as they were at the mercy of the winds and tides. Sailing ships were required to heave to on reaching the bridge and to run a rope through two buoys, each with an eye atop. A rope was passed through each eye by a hobbler crew and retaken aboard, effectively doubling the rope and as one was tied off the slack was released by the crew. Then using the tide, they drifted through the opening span, controlling their speed with the rope, which because of the loop could be easily retrieved once the operation was completed. Although the Conniston incident seems to have passed off without repercussions, the Ethel was another matter. Her Captain, McGuirk, through the ships brokerage firm of Betson & Co of Dublin wrote to the New Ross Harbour Board to seek damages. His position was that his ship was in the “charge of the pilot” when considerable damage was done. One stanchion was broken and parts of the main and top gallant rails were broken too. in the wind carrying them through. as she swung on this against the tide, first the stern hit the pier head, and subsequently the bow struck one of the bridge piles. that the Captain was really responsible. The pilots (four are said to be then employed) were to be warned to use the procedure whatever ships captains might say. Needless to say that would not be an end to the incidents that befell the tight opening span of the Barrow Bridge. I’ve written about a century of them before. Following publication John Aylward mentioned in a comment that a similar procedure was used at Timber toes in the city. Presumably similar took place at Redmond bridge and at the Red Iron Bridge. The wooden paddle steamer City of Bristol (1827) departed Waterford in November 1840 for her home port in a tremendous storm. Anxious to keep to her schedule, her Captain made some difficult decisions, but ultimately she would sail into one of the worst storms that season. She would afterwards ground, break up and all but two aboard would die. The City of Bristol was a familiar ship in the coastal trade of Ireland. On Tuesday 17th November she departed Waterford’s quays for her home port of Bristol and at 10am she passed down by Passage East. Her Captain, John Stacey was described as knowing the route well, having served man and boy on it, first on sailing ships. Rounding the Hook he decided to return, following was were described as “…a frightful sea…” He anchored in Duncannon Bay, where he awaited the storms abatement, setting off again at 11pm that same night. Aboard the City of Bristol was an estimated 23 crew and possibly 6 deck passengers. Of the passengers little is known, mostly described as stock men, to care for the livestock aboard. 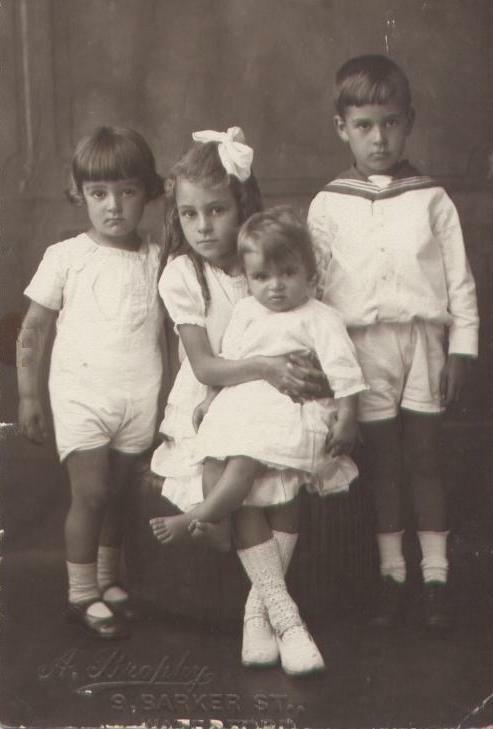 One was a Thomas Henderson of Patrick St. Waterford, his family were in clothing. Another was speculated to be named Walsh returning to England from a recent trip home. Two were said to be female. The ships manifest included; 575 barrels of Oats, 113 barrels of Barley, 2 trs of lard, 120 fls of bacon, 280 pigs stored in pens on deck and 15 head of cattle housed in the fore hold. As she crossed to the Pembroke coast later in the afternoon of the 18th November the storm once more rose in strength and in near zero visibility due to snow Captain Stacey sought shelter behind Worm’s Head. However between Worm’s Head and Burry Holmes in Rhosilly Bay she grounded. Despite attempts to refloat she remained fast. After a sea washed several off the decks, many lashed themselves to the rigging, in the hopes of a rescue. Broadside to the pounding waves she was battered and beaten and eventually at about midnight the ship broke in three and all were tossed into the surf. Perhaps miraculously, two of the crew survived; William Poole was saved when a timber beam he grabbed in the water floated ashore. The ships carpenter Thomas Hamilton (elsewhere named Ansley or Anstice) managed to swim the distance. 72 pigs and 4 cattle also made the shoreline and walked off the beach to safety. Here’s a list of the crew that died. Todays piece is taken from reportage at the time from an article in The Wexford Independent, 25th November 1840. P1. Other sources, where used, are linked in the piece. left behind. What was the fate of the Schooner Lapwing? Lapwing was registered in the port of Arbroath, where she had been built. previously with a load of coal. weather bound? Had they struck a mine? Had they succumbed to U Boat attack? sunk by shellfire as she sailed towards Wales after being spotted by U-95. Her last resting place here. Perhaps for me one of the most frustrating things about the loss of the schooner was her obvious vulnerability. In the following weeks the Coningbeg and Formby would be blasted from the Irish Sea too, but in their cases the U Boat had reason to be cautious. They were steam driven and could have outrun the U boat, they could also have rammed her or they could also have fired on her, being armed and with naval gunners aboard. But the Lapwing had nothing. Five men on a timber ship at the mercy of the wind and tide. A hard target to justify, except perhaps, she was unarguably an aid to the allied war effort. That perhaps and the fear that if they gave a warning to abandon the craft, she may have turned out a Q ship. I’d like to acknowledge the help of Arklow Maritime Museum and Brian Cleare in help with this piece. Irish Times. February 16th 1912. Wicklow Newsletter and County Advertiser. October 26th 1918. P2. 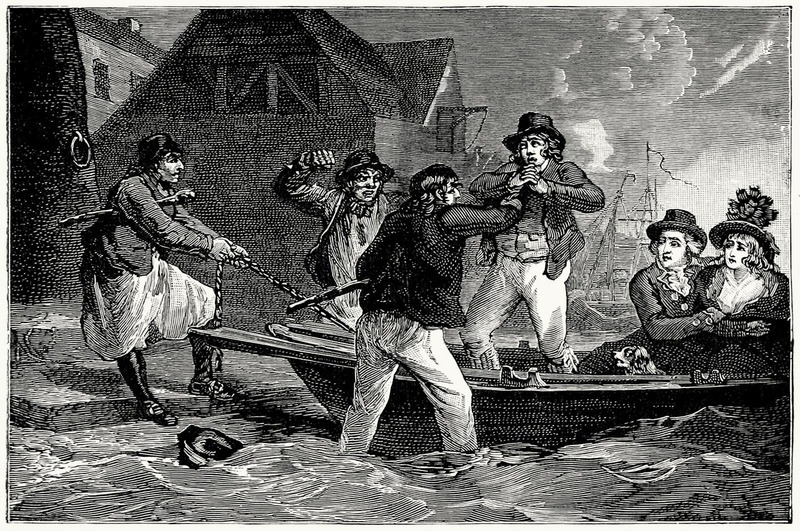 The Royal Navy Press gangs were licenced kidnappers who operated with official sanction up to the early 19th Century. Their role was to remove sailors from shore or ship and impress them into the service of the Royal Navy. It was a recruitment policy that was particularly prevalent during times of war. Needless to say their activities were a reality in the harbour area too. 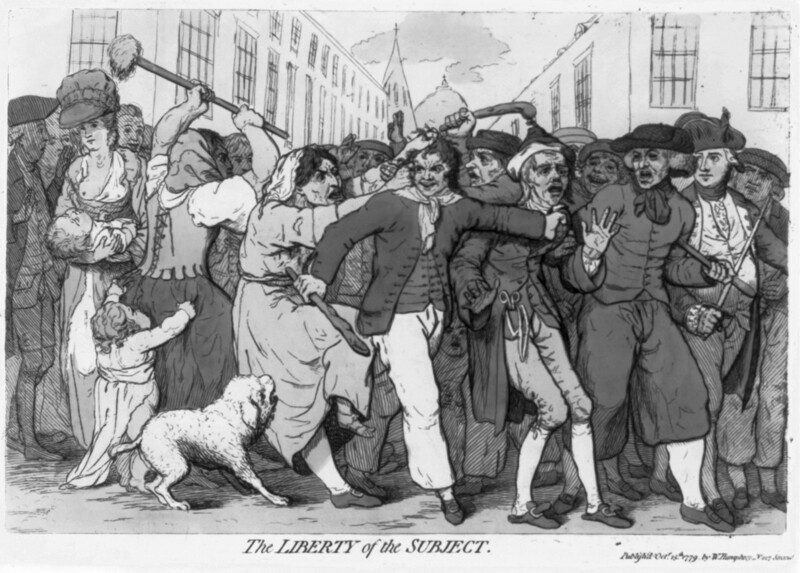 The practice of Impressment is old, being mentioned in the Magna Carta. 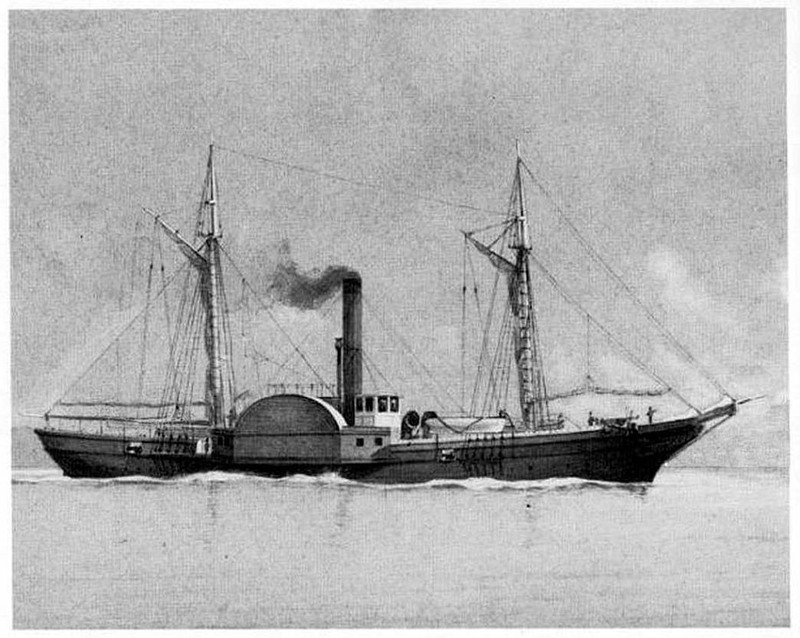 It was more common in times of war as competing interests vied for crew. During the Napoleonic wars it became widespread when the navy was stretched and simply didn’t have enough men to operate their ships. Apparently the practice had initially started in London but over time and as the needs for crew grew, so did its scope. Waterford was only one of many areas favored by them given the quantity of trade, and particularly, it seems the Newfoundland cod fishery. Crews for the fishery were drawn from farms, villages and towns across the south east and they flocked to the harbour area to join ships for the cod fishing season on the Grand banks. These were young, healthy and energetic. Perfect for the hungry Press-gangers. The Press Gang had a number of strategies for engaging sailors. These included going ashore to take men from quays, pubs or homes, raiding ships at anchor or at quaysides or attacking ships on the high seas. I’ve found examples of all three in our own area. So if a shoreside press was injurious to your health, a relatively more safe approach was to board vessels at anchor, under cover of darkness. At Cheekpoint on what was described as a “dark and tempestuous” night in October 1779 HMS Licorne was at anchor and in need of crew. Conditions were favourable to a stealth attack and so under the command of Lieutenant Rudsdale a party set off in the ships pinnace. They immediately drew alongside a punt, and in case the men aboard reported the Navy’s activities they “pressed the lot”. He returned to his vessel and dropped his captives and set off again towards Passage and Ballyhack. They boarded the anchored brig Triton and finding the crew asleep, pressed as many crew as he could fit. Dropping them back to the Lincorne, he again returned to the Triton, but this time instead of finding the remaining crew asleep, they were confronted with a barrage of spikes, hatchets and crowbars. He withdrew, and the piece goes on to say that the racket having raised the harbour he was forced to return to his ship. Rudsdale was apparently satisfied with his nights work however, he had secured a score of men to add to the Lincorne’s crew. Several other accounts of the press gangs have come to my attention including a shore based captain who organised the press of sailors from an office at Passage East, a press in Waterford city that resulted in 140 men pressed on the quay and the landing of the press gangs on the Hook peninsula and their working along the coast to Duncannon. The press gang diminished after the Napoleonic wars. A peace time navy required less men, naval reforms and pay helped recruitment, but social reformers also helped in fighting the hated practice. The next great naval dispute against Russia in the Crimea in 1853 is said to be the first in which impressed sailors did not serve. The Waterford Chronicle, Tuesday April 1st 1777.